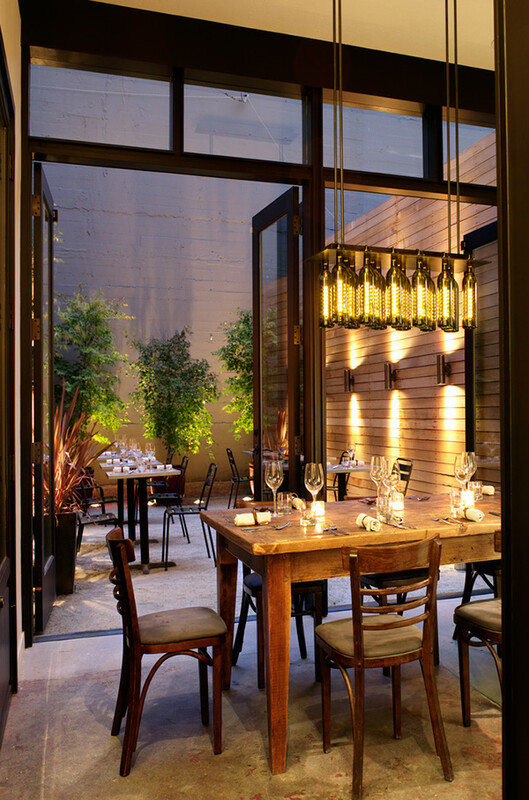 Our client wanted to create a sensually rich dining experience for a new restaurant and wine bar—Bar Bambino. The menu focuses on regional Italian peasant cuisine, featuring local meats and cheeses complemented by imported Italian wines. 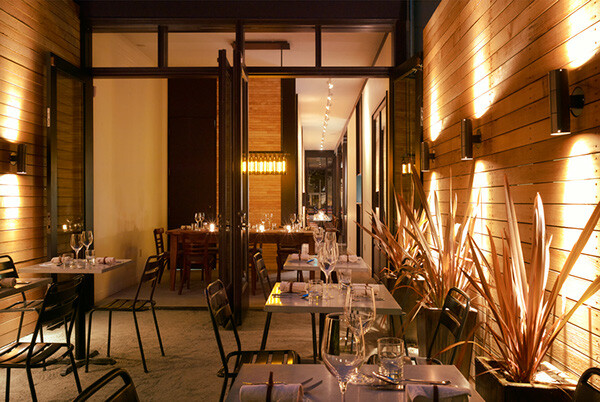 This simple fare called for a restaurant that is informal and rustic yet equally elegant. 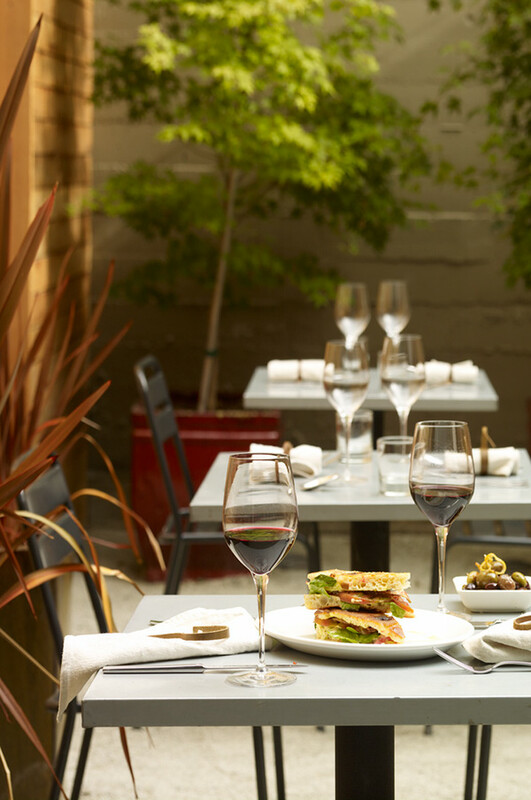 Both the owner of the restaurant and the restaurant itself are located in the Mission District in San Francisco. The restaurant is on one of the roughest of streets of one of the most derelict areas of the city. 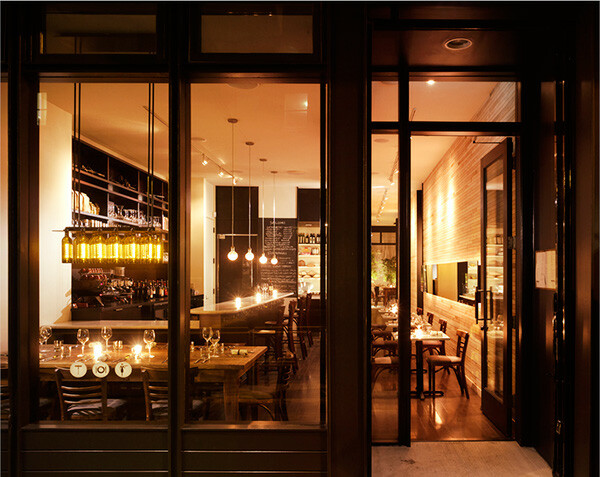 This supplied the concept of a “diamond in the rough.” Upon approaching the restaurant through the urban grit, one arrives at a glowing vitrine imbued with a warmth of light. From the crystalline façade one can view through the restaurant to a tranquil garden space in the rear. This outdoor urban oasis provides the neighborhood a rare opportunity to escape to an afternoon lunch in the sun or an evening dinner under the stars. 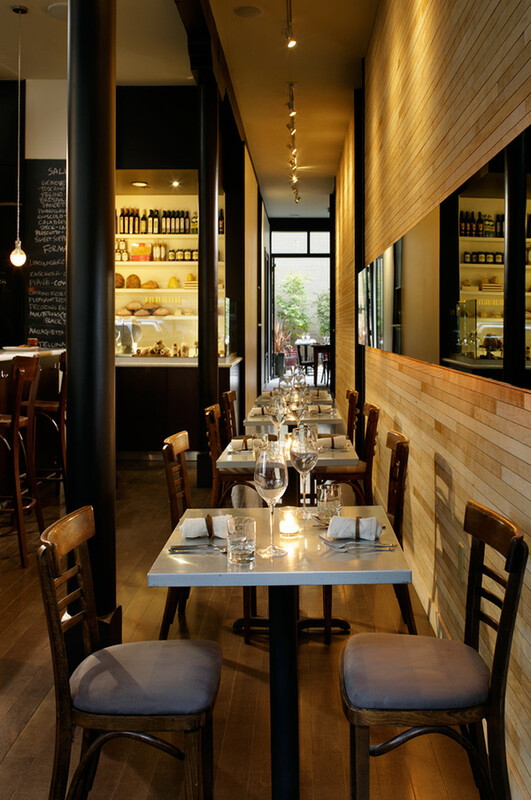 Inspired equally by the rustic Italian enotecas and the Rationalists of the 1920s, the architecture balances a restrained palate of white walls with thin black trim and highly textural wood finishes. A rough-sawn wood wall creates a spine through the restaurant drawing the visitor from the entry through to the rear dining court. This inexpensive wall of stained T1-11 plywood not only provides the interior with great warmth but also adds a critical tactile dimension to the architecture. Reclaimed classic furnishings strategically contrast against the clean lines of the architecture. Their sensual lines and worn surfaces convey a much-needed layer of history that engages the diner on the most innate level. The slow food movement is integrated beyond the chef’s local sourcing of ingredients and seasonal menus. Much of the finish work of the restaurant and the furnishings were actually executed by the hands of the owner and his family, all non-professionals. 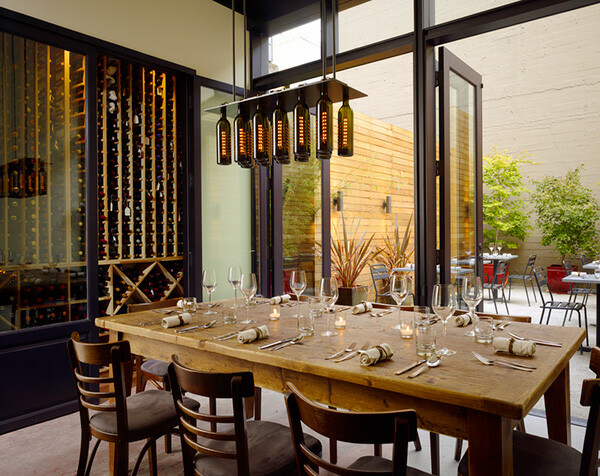 The wine-bottle feature pendants were the result of a collaborative design and fabrication effort between the client, the architect, a local sculptor, and a neighborhood metal worker. The final product is a locally run, family-built restaurant that has transformed a run-down section of the city into a dining room for the entire neighborhood to share. Located in a rough urban context, this crystalline space celebrates the elemental simplicity of Southern Italian peasant food. 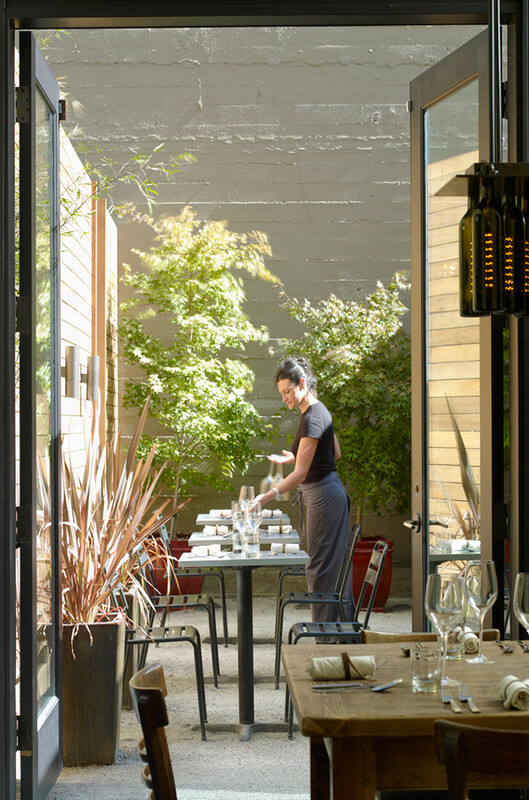 A wood-clad spine wall connects an active wine bar and dining room to a tranquil rear courtyard. 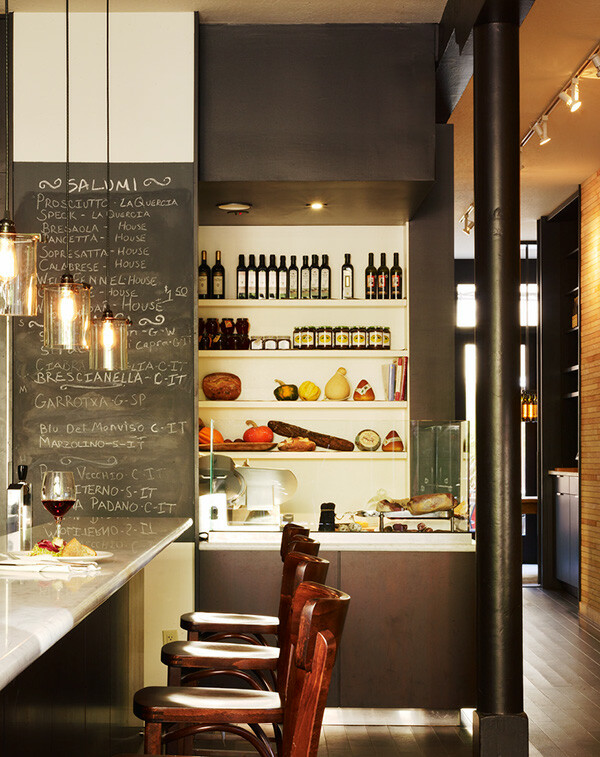 Informed equally by rustic Italian enotecas and the Rationalists of the 1920's, the restrained design and warm palette of materials complements the fine wine and food.